HR Focused Business Savvy Leaders, For Tomorrow's Global Organizations. At the Krannert School of Management, we recognize that policies don’t change the workplace – people do. Our Master of Science in Human Resource Management (MSHRM) program develops a unique combination of talents to help make you a remarkably savvy business leader. 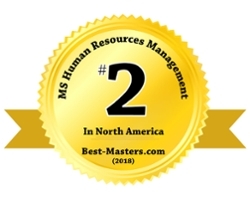 The MSHRM program is a 48 credit hour, 3 semester degree which combines Human Resources, Management, and Organizational Behavior studies with experiential learning opportunities. Graduates will receive a Master of Science degree with a concentration in Human Resource Management. Purdue’s Human Resource Management program aligns with Society for Human Resource Management (SHRM) Guidelines. Krannert recognizes the important role that real-world projects play in your professional development. Our MSHRM program goes beyond the classroom, empowering you to participate in a multitude of opportunities. From case competitions and consulting opportunities to the Human Capital Consulting Initiative, a master’s degree from Purdue lays your foundation for career advancement. For the freedom to conduct your future, retain mobility, and influence global leaders, choose a Master of Science in Human Resource Management at Purdue. The Krannert School of Management will satisfy the application fee for Fall 2019 domestic applicants of its MS Human Resource Management program who are permanent legal residents of the United States. Applications are requested by May 1, 2019.